Whether your lawns and hedges need a complete overhaul or you need regular grounds maintenance services from a skilled gardening team, Ricky Tyler Landscapes is the team to call. Our experienced, skilled garden care specialists offer a wide range of services to help keep any outdoor space looking fantastic, all year round. We work with local schools, businesses, landlords and authorities to provide comprehensive commercial groundworking and landscaping at fantastic low rates. With any genuine quote beaten and a timely, cost-effective approach, you can count on us to deliver the right result. Need ongoing support? Why now arrange a maintenance contract with us? From weekly visits to a seasonal tidy-up, set a schedule that meets your needs and leave the gardening work to us. Our regular services are perfect for playgrounds, sports fields, retail parks and public spaces. Available across the UK, we've been providing grounds maintenance to the region for over 15 years. You can select a package that suits you, and get visits as and when you need them. 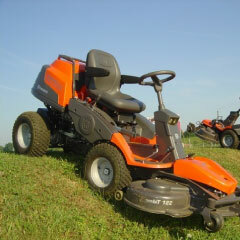 Need the lawn mowing on a regular basis? We can stop by as often as you like. Looking to save on the cost of a retained groundskeeper? You only need to pay for our services when they are required. Want a full garden support team to manage your grounds? Our skilled gardeners are here to help you. References are available on request, and we're happy to arrange an on-site consultation to discuss your needs with you. Choose a reliable service that delivers amazing results - contact Ricky Tyler Landscapes today. Ricky Tyler Landscapes can provide gardening and grounds maintenance services including Commercial Grounds Maintenance covering London, Essex, Hertfordshire, Northampton, Buckinginghamshire & Bedfordshire .